London sits in the Thames Basin, a bowl of chalk about two hundred metres thick. This chalk layer was formed from tiny algal skeletons about ninety million years ago when the Earth was much warmer, sea levels higher and the south east of Britain lay under water. Each centimetre of chalk took about a thousand years to form. It was forced into a bowl shape at around the same time the Alps were pushed up during massive movements in the Earth’s surface. The outer rims of the basin are the Chiltern Hills to the north and the North Downs to the south. Within the bowl lies sand and clay deposited by seas during the Tertiary period around sixty-five million years ago. Much of the layer on the surface of the basin was stripped away by glaciers during the Ice Age, leaving only limited remains of a former ridge that became separate hills such as those at Harrow and Highgate. As the ice melted and retreated north during the Pleistocene period (between 1.5m BC and 10,000 BC) large volumes of water flowed from the Thames Basin, south and east, through what is now the London area. At times the region would have been completely submerged by a much wider River Thames. The wide, slow-moving water deposited gravel at its sides. As the Thames narrowed over thousands of years its gravel-depositing edges moved inwards in ever-lower terraced banks. Thus the youngest layers lay closest to the current banks of the river and the oldest further away on the valley sides. Archaeological finds of human tools from the past five hundred thousand years show how the river banks gradually moved inwards to the narrow channel of today. One hundred and twenty thousand years ago the climate in southern England was warmer than today. Much of the southern part of what is now the City of London lay under the much wider Thames, with the bank being roughly in line with the Strand and Trafalgar Square. On the south bank the whole of modern-day Southwark was under the river. Numerous rivers and streams flowed into the Thames from the higher ground to the north and south and erosion from these over the past fifty thousand years created the many valleys and hills on and around which London is now built. In the past few centuries the mixture of gravel, brick earth and clay that sits on the surface of the chalk bowl has been used to create ‘London Brick’ from which the city has been built. The soft clay made the tunnelling of the London Underground relatively easy but causes problems of subsidence of buildings that do not have good foundations. There is evidence of human occupation around what is now London as far back at least half a million years ago but early inhabitants would have drifted southwards with the coming of the last Ice Age. As the climate improved humans returned, probably following the spread of animals. Those new settlers can be linked to Brittonic-speaking Celtic tribes around northern Europe and the west of France. Sometime before 100 BC south-eastern Britain was invaded by people from north-eastern Gaul, generally known as the Belgae. Unlike the native Britons they were a militarily advanced people, using chariot warfare and sling-stones, defending themselves in large fortresses surrounded by a ditch. They were a hierarchical society, ruled by kings and nobles and they initially settled in the richer farmlands of Kent and Buckinghamshire. During the 1st century BC the Belgic Catuvellauni tribe came to dominate the area to the north of the Thames in the modern-day Middlesex, Hertfordshire and Bedfordshire, with their royal capital on the River Lea at Wheathampstead near St.Albans. To their east, in what is now north-east London, Essex and Suffolk lived the Trinovantes with their major settlement at Colchester. South of the Thames in south London, Surrey and Sussex were various people of Belgic origin (later known as the Regnenses) with their main settlement at Chichester. The Cantiaci were in Kent, whose major settlement was Canterbury. To the west, along the upper Thames valley, were the Atrebates. The Thames was the border between different warring tribes. The London area, with its poor clay soil, remained forested and largely unpopulated, being far from each of their main capitals and therefore too difficult to defend. The wide river and thick forests on each bank made it a natural barrier between the different groups of people but also an easier means of transport and trade than overland. Having established settlements, the Belgae needed a means to move their chariots between them and they created some form of roads. Although we do not know their exact routes it is most likely that in many cases they were more or less the same as that of the Roman roads that were used in the following centuries. To some extent the routes are traceable from discoveries of coins of the period, probably dropped by Belgic travellers. The Thames was probably fordable at Westminster, so the main Belgic north-south road almost certainly ran south-eastwards from Wheathampstead to modern Westminster. It then swung east, south of the Thames towards Canterbury, the line of the later Watling Street. Individual finds of coins seem to indicate a second north-west route from Wheathampstead, to Hatfield and down to the Thames, to cross somewhere near the modern London Bridge, no doubt by means of a ferry. Groups of coins to the east of London appear to show a ferry crossing-point between Gravesend and Tilbury. An east-west road probably crossed the Wheathampstead-Canterbury route, meeting around Hyde Park Corner, along modern Piccadilly, Long Acre, Old Street, Old Ford – where the River Lea was crossed – and on to Colchester. There is the suggestion of another east-west route from Windsor, Ealing, and Golders Green, crossing the Lea at Walthamstow. Julius Caesar, a brilliant military leader, expanded the Roman empire northwards to the Rhine and westward as far as the Atlantic, bringing the vast new territory of Gaul under occupation within a five year period from 58 BC. Caesar’s first expedition to Britain was made in 55 BC. During his conquest of Gaul many of the local tribesmen had fled across the Channel to Britain. There was a rebellion by the Armorican tribe in the west of Roman-occupied Gaul, aided by their brethren in Britain and in order to bring the British tribes under control Caesar led a small invasion force to Kent that August. They were hampered by bad weather however and returned after just two weeks. Caesar attempted another invasion of Britain the following year, committing two thirds of his army to the task, a great gamble when Gaul was only newly-conquered and its tribes still in a rebellious mood. He landed in Kent and marched his troops northwards towards the Thames. He was met by an alliance of Belgic tribes and, fording the river somewhere in the region of the future London, pursued them to their stronghold – most likely Wheathampstead – where the locals surrendered. Once again Caesar was forced to retreat to Gaul to deal with problems there before the winter weather broke. His conclusion at that time was that Britons were too weak to invade Roman Gaul and that more money was to be made from taxing their trade than from colonising. Caesar, an articulate author, published an account of his defeat of the British titled Bellum Britannicum. Of his encounter with the Catuvellauni he wrote: “When he [Caesar] had come there greater forces of Britons had already assembled, the chief command of management of the war having been entrusted to Cassivelaunus, whose territories a river called the Thames separates from the maritime states at about eighty miles from the sea.”¹ Caesar’s account is the earliest written record of the River Thames. ¹ Translation from the Latin, with thanks to Leonardo de Arrizabalaga y Prado. With thanks to Simon Birrell for proof-reading. 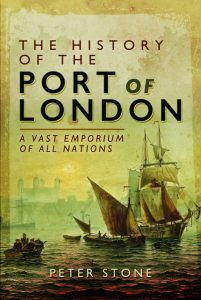 Sources include: Simon Webb ‘Life in Roman London’; John Morris ‘Londinium’; ‘The Times London History Atlas’.